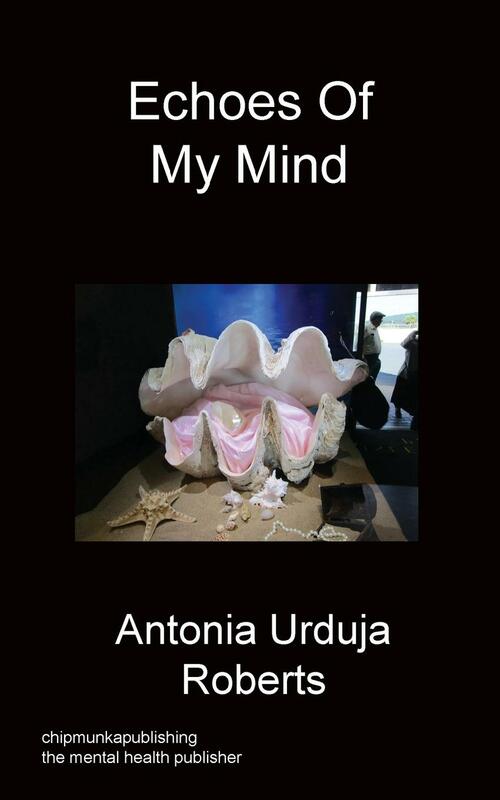 Antonia shares her multi-facetted-world filled with challenges to her heart and mind, sometimes heart-rending and mind-boggling, yet immensely inspirational and thoroughly uplifting. Antonia’s private letters to The Queen, Prince Charles, Pope John Paul 11, Pope Benedict XV1, Pope Francis 1 and other important personages in her life and their acknowledgements within the bounds of protocol are revealed herewith..
Antonia is currently promoting The Brotherhood of Man and Mental Health, to eradicate the stigma on Mental Illness. Explore the uncharted territory of the Mind and Heart of a self- pronounced Princess by raking the graves of her royal ancestors in the Philippines! 18th September 1944 was the birthdate of Antonia Urduja Talion. She was born in Calolbon, Catanduanes, an island in the northeast of the Philippines. Her father was a lawyer and a politician and her mother was a teacher. She was the eldest of eight brothers and sisters. She was born with love and raised with the fullness of love. But, her mother was somewhat jealous of her because she was the beloved of her father and of her grandparents. Therefore, as she grew up, there was a love-hate relationship between her and her mother which stressed out and confused her mind and heart. She became a restless child, always searching…always looking,.. always yearning…always longing for something. She received her schoolings in the Colegio de Sta. Isabel, now a university run by the Sisters of Charity of St. Vincent de Paul, in Naga City, Philippines. She also studied two-years college in the University of Sto. Tomas, Manila, Philippines, before she left the Philippines at the age of 17 years in July 1963 to train as a nurse in the nursing school of the Krankenhaus Dritten Orden, Nymphenburg, Munich, then West Germany, run by the Third Order Francescan Friars and Nuns. This became her root-home in Europe. She shared a room in the nurses’ home with German student nurses who spoke no English and imbibed the German mentality, therefore, her teenage life was spent amongst German teenage girls. Her soul and spirit were still restless; she was never satisfied. Now, she wanted to study Medicine in the Ludwig-Maximillian’s University in Munich. However, she failed the entrance examination which blew her self-confidence out. From then on, her restlessness grew even more intense as she yearned for that love from her family back in the Philippines. Coupled with that, her secret-love, a medical student and her German tutor died an untimely death. Urduja was devastated ! She expressed her nostalgia and longings in her poems and written stories. Her favourite rendezvous with the spirits of the realm who sustained her love and sanity was in the Schloss Nymphenburg, which belonged to King Ludwig 11 of Bavaria at one time. This castle was a good ten minutes walk from the German hospital. In April 1967, she had a nervous breakdown and was confined for two weeks in the Haar Nerven Klinik in a village outside Munich. Schizo-Affective-Psychosis was the diagnosis of her illness. Her psychiatrist advised her guardian for her to return to the Philippines for further treatment and rehabilitation. But, her restlessness grew even much more intense as she got better and then she left the Philippines again for the second time to go to London to train as a nurse. She refused to take her prescribed nervous tablets and had a second nervous breakdown. She was confined for nine months in the psychiatric ward of the then London Hospital in Whitechapel Road which is now the Royal University London Hospital. When she was discharged from hospital, she worked as a night auditor in the accounts department of the Sheraton-Heathrow Hotel, London and married Alan Roberts, an Englishman seven years her senior in March 1974. Antonia Urduja was a Catholic and Alan was a Spiritualist. The differences in their religious doctrines confused Antonia’s mind. In November 1976, Elsie came into existence and Antonia suffered from a post-natal depression and when Sev, a son was born in November 1981, Antonia’s depression was controlled to a minimum. Her psychiatrist prescribed her some anti-depressants. Caring for her children and watching them grew-up as well as her passion for writing poems and stories enabled her to express the love, heat and contradictions of her feelings, emotions and spirituality. Her present religious beliefs developed as a blend of Catholicism, Spiritualism and reverence and closeness to nature inherited from her pagan royal ancestors of long, long ago. And I hear the meandering thoughts of the Father. Desires of His Mind and Heart. The ethereal embodiment of Gods creations. And the promised excitement of this glorious World. Objective values of the societies wherein they live and exist. For on the Cross-, one bar is at variance with another!